(Newport Beach, California) - Despite increased precautions to make sure the embarrassing error would not be repeated, the United States Mint again has mistakenly struck so-called “Godless” dollars. 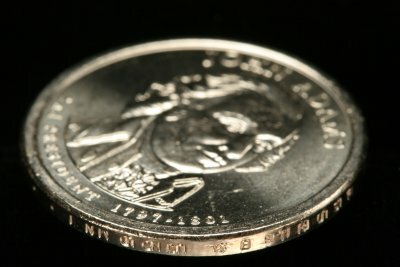 Hundreds of the new John Adams presidential dollar coins, officially released into circulation on May 17, now have been found without the edge lettering, according to Ron Guth, President of the Professional Coin Grading Service of Newport Beach, California, a division of Collectors Universe, Inc. (NASDAQ: CLCT). 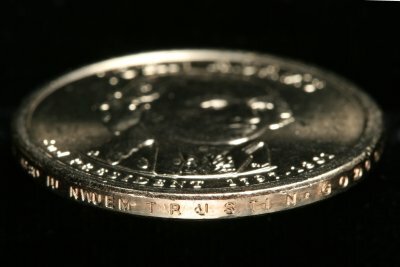 The “Godless” nickname was given to the coins because the familiar motto, IN GOD WE TRUST, is missing from the edge. Tens of thousands of George Washington dollars were released in January lacking the edge lettering that includes the mottos IN GOD WE TRUST and E PLURIBUS UNUM, the year of issue (2007), and the mintmark. Now the same mistake is appearing on the second in the series of one-dollar coins honoring U.S. presidents. “We have authenticated a small number of genuine John Adams presidential dollar coins that were struck with normal designs on the front and back, but which failed to go through the final minting process where the coins receive the edge lettering. These error coins were discovered by a Detroit collector when he opened several mint-sealed containers of coins made at the Philadelphia Mint,” said Guth. “There are indications that about 500 of the President Adams ‘Godless’ dollars have been found so far and that’s nowhere near the large quantities we saw with the President Washington dollars. It appears the Mint’s efforts to prevent that kind of problem have been almost completely successful. However, now we’re seeing some coins with doubled edge lettering, so that IN GOD WE TRUST actually appears two times on the same coin,” said Guth. To prevent coin production defects, the Mint modified its processes and added more quality-control inspections at the Philadelphia and Denver Mints earlier this year. Production equipment was moved to keep coins without edge lettering separate from finished coins with the edge lettering, and color-coded bins are used for holding finished coins. “It’s too early to put a final price tag on the collector value of Adams presidential dollar errors because no one knows how many others will turn up. But it’s certainly an interesting discovery, and will prompt people to look for more,” said Guth.